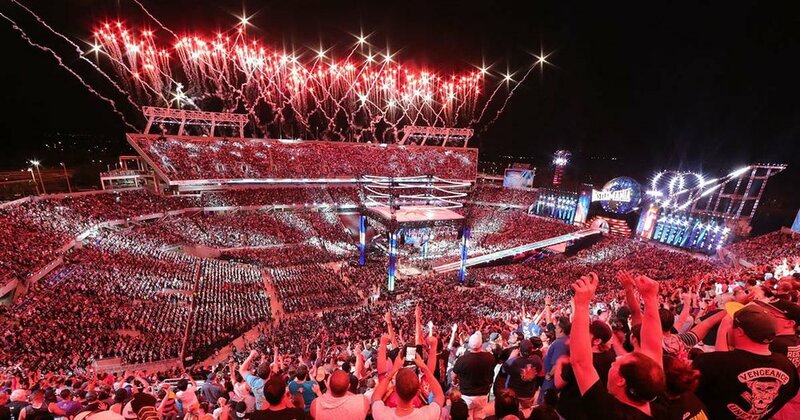 We have worked with WWE for the last few years, and each year are asked to return to provide programming and pre-visualization services for Wrestlemania. This is one of the largest live TV and sporting events in the world, hosting 70,000+ fans in the stadium and millions more live online and on-demand. Controlling a multitude of HD outputs of Hippotizer V4 Boreals run by MA Lighting grandMA2 consoles, we were tasked with making sure each piece of the show looked its best on the many LED surfaces.